Hongdae area in western Seoul refers to the neighborhood near Hongik University, known for its art school, and the neighborhood‘s young and artistic crowd fill the area with a cool vibe and energy. 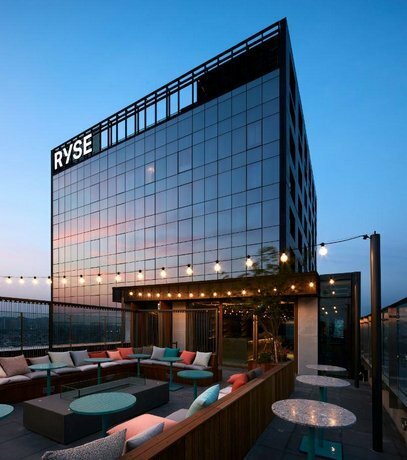 Ryse, part of Mariott’s Autograph Collection, officially opened its doors to guests and non-guests on May 24, hoping to reflect the energy of vibrant Hongdae into its property, service and rooms. “The brand and our Ryse crew’s focus is to show the energetic culture of Hongdae and create opportunities for people to gather and connect,” said Jaisun Ihm, the hotel’s general manager. 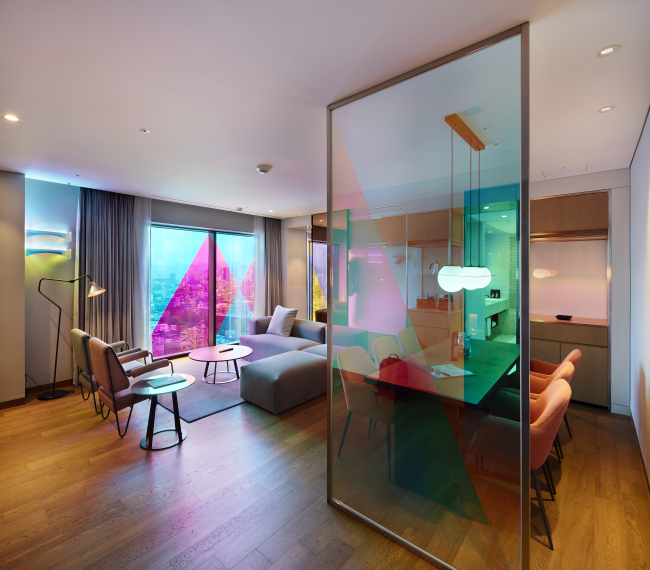 The interior of the hotel, highlighted by minimal and straight lines, was designed by Michaelis Boyd, the architecture firm behind many of the Soho House properties in London. 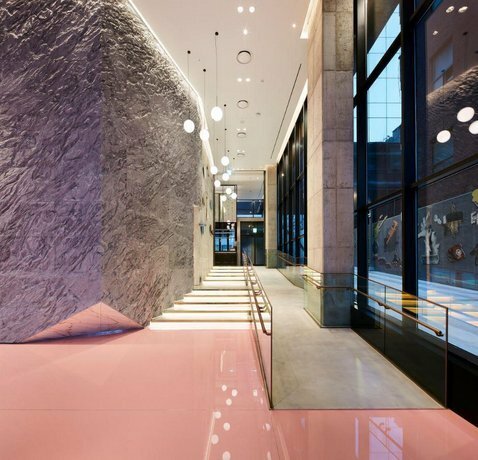 The raw concrete wall at the hotel’s entrance stands for the rawness of Hongdae culture while the use of saturated colors visualizes the high-end hotel’s carefreeness -- for example, the fluffy hot pink carpet that warms up the lobby floor. “Rough textures visualize the rawness, glossiness portrays a sense of luxury,” Ben Masterton-Smith, the lead Michaelis Boyd designer for the Ryse project, said at a press event held on the grand opening day. Featuring 274 guest rooms, the hotel is highlighted by five Artist Suites, rooms decorated under the direction of artists from around the world, including Korean installation artist Park Yeo-joo. The hotel’s globally-inspired F&B invites non-guests to the art-filled property. On the opening day, the hotel’s lobby floor was filled with customers at Tartine Bakery & Cafe, who had come in to taste the coffee and toast of the well-known San Francisco-based cafe brand. Ryse also picked Thai restaurant Long Chim as its main dining facility. Michelin-starred chef David Thompson leads the kitchen with a high-end street food concept. Side Note Club, a fancy whiskey bar on the rooftop, offers a view of Hongdae from a higher perspective. Marc Cansier from Hong Kong’s Marc & Chantal -- a branding and design agency -- was in charge of setting the brand vision for Ryse.